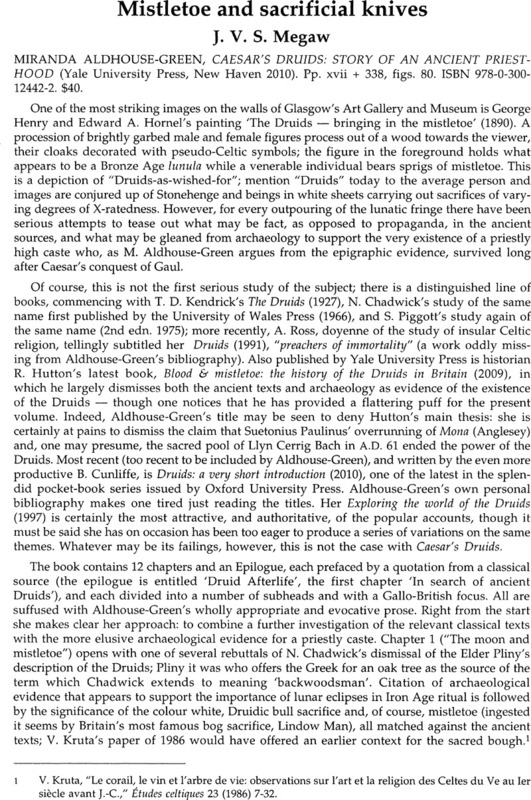 Mistletoe and sacrificial knives - MIRANDA ALDHOUSE-GREEN, CAESAR’S DRUIDS: STORY OF AN ANCIENT PRIESTHOOD (Yale University Press, New Haven2010). Pp. xvii + 338, figs. 80. ISBN 978-0-300-12442-2. $40.